Chicago might not be known as the chocolate capital of the world, but that doesn’t mean you can’t score some amazing unique local confections when you head into the windy city. From Vosges Haut Chocolate with their iconic purple boxes filled with exotic flavors to The Fudge Pot where classic treats have been made for two generations, in Chicago, there’s a chocolatier for every taste. Check out the best 5 local Chicago chocolatiers below. Vosges founder and chocolatier, Katrina Markoff started her chocolate career at the Le Cordon Bleu cooking school and then let her taste buds guide her around the world, starting in Spain and ending up in Southeast Asia and Australia. When she returned to Chicago, she started a chocolate shop celebrating the world’s diverse cultures by making chocolates that fuse indigenous spices, flowers, roots, herbs and liqueurs. If you like exotic flavors that really push the boundaries of chocolate conventions, this place will rock your world. 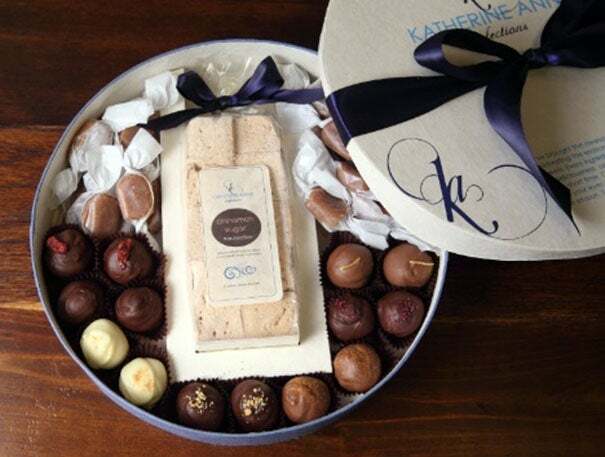 Katherine Anne Confections is the epitome of local chocolatiers. Whenever possible, materials are sourced locally, like the cream from a farm in central Illinois and the local wildflower honey. 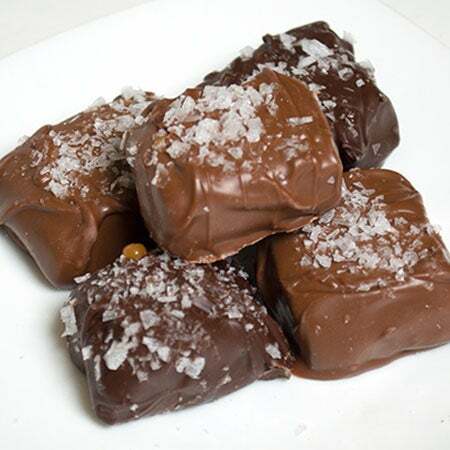 Pop into the new boutique location on Logan Square to watch Katherine Anne hand roll truffles and make caramels the same ways she’s been making them since she was 10. At the boutique you’ll find traditional confection flavors as well as some more out-there options like Goat Cheese Walnut. If hot chocolate is your thing, Katherine Anne’s flight is the way to go. The neighborhood might have gone through many transitions, but from father to son and now to son again, the Dattalo men haven’t let the changes phase them. They’ve been making classic chocolate confections in the same location for 50 years. Step into their shop and step back into time, when life was a little slower and chocolates were lovingly hand-made one by one. Most chocolates are featured in both dark and milk chocolate and if you want to really wow someone, get them the chocolate box made out of chocolate. It’s basically chocolate squared. When you arrive near the Blommer Chocolate Company, you know you’re in the right place. The scent of chocolate wafts out covering a whole block with mouthwatering smells that lure people in even when they weren’t expecting to go in. This fully integrated chocolate and cocoa manufacturer has been in business since 1939 when the founders opened their first chocolate factory. Today, the self-proclaimed largest manufacturer of chocolate in North America is still family run and serves up gorgeous truffles you won’t be able to wait to eat. One day, in a chocolate course at the Chicago’s French Pastry School taken while on a break from her day job as a pediatrician, Heather Johnston discovered a new way to deliver the same kind of comfort that she strived for at work. She turned her newfound passion into a new career and now delights customers of all ages with luxury chocolates designed to indulge all senses. This little chocolate shop often serves as a cute date location. Stop by to chat with the knowledgeable staff and get some delectable treats truly unique to Chicago.